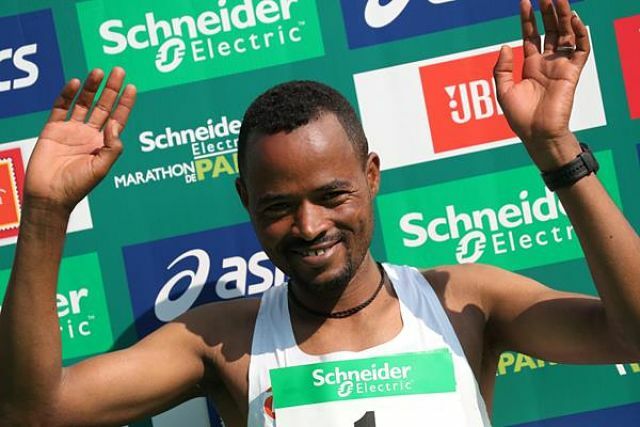 Ethiopia’s Abrha Milaw and Gelete Burka prevailed at the Schneider Electric Paris Marathon, an IAAF Gold Label road race, whose 43rd edition took place on Sunday (14). Milaw clocked 2:07:05 for a comfortable 20-second victory over compatriot Asefa Mengistu while Burka crossed the line in 2:22:47, five seconds clear of another Ethiopian, Azmera Gebru. Milaw made a big surge with three kilometres remaining, building a four-second gap on Lonyangata and Mengistu, and nine on Gachaga, at 40km, hit in 2:00:30. He forged on unchallenged to secure the 2:07:05 victory, clipping 20 seconds from his previous best and sealing a second successive French road success after his win at the Nice-Cannes Marathon last November. “The conditions were tough,” Milaw simply said. Mengistu, a past winner in Seoul, Cape Town and Bloemfontein, came home second in 2:07:25, well outside his personal best, while Lonyangata rounded the podium in 2:07:29, 1:19 slower than the time he clocked last year. Morhad Amdouni, the European 10,000m champion, was the first Frenchman, finishing eighth in 2:09:14 in his debut over the distance. 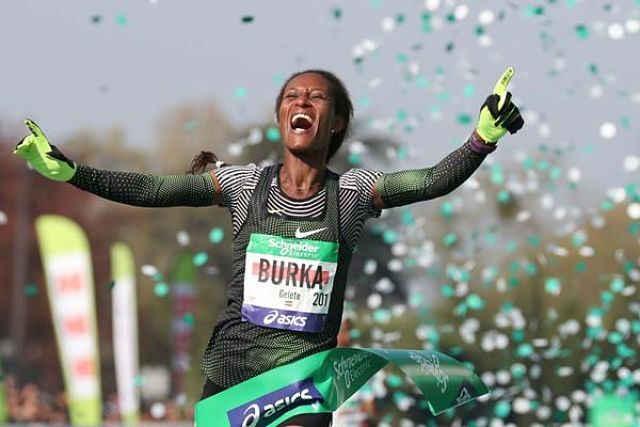 The women’s race was as fierce as expected…Burka, who was the fastest woman in the field, lived up to her favourite’s role to capture her second marathon victory in 2:22:47. Grebu finished five seconds in arrears as Abreha came home third in 2:23:35, six seconds ahead of Calvin whose 2:23:41 performance broke the French national record.